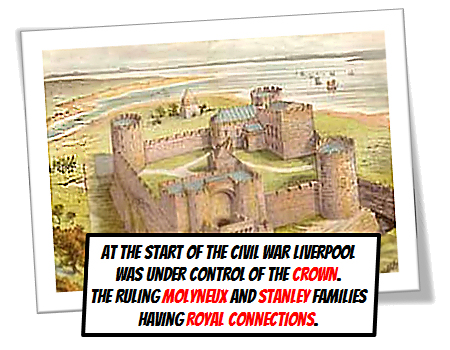 At the start of the civil war Liverpool was under control of the crown. The ruling molyneux and Stanley families having royal connections. 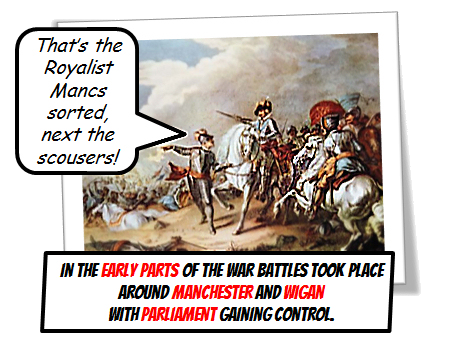 in the early parts of the war Battles took place around Manchester and Wigan with parliament gaining control. THE Liverpool royalists took up positions at the east. In the high up area by childwall church, where the any advancing armies could be spotted. 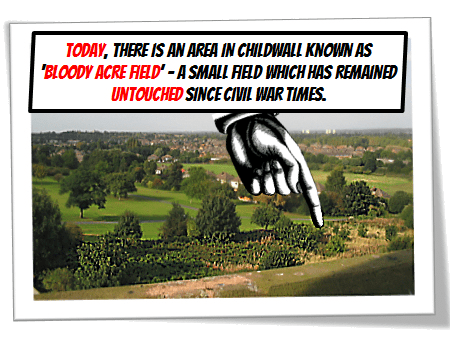 today, there is an area by the church known as ‘bloody acre field’ – a small field which has remained untouched since civil war times. Never recorded in history, it is thought that a civil war battle took place here. 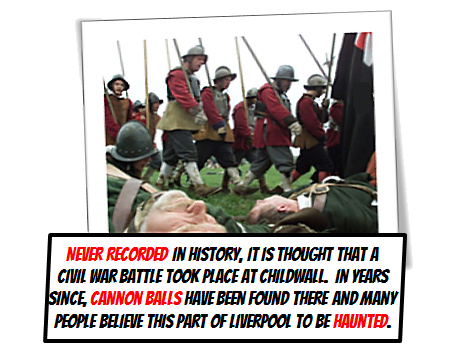 In years since, cannon balls have been found in the area and many people believe this part of Liverpool to be haunted. 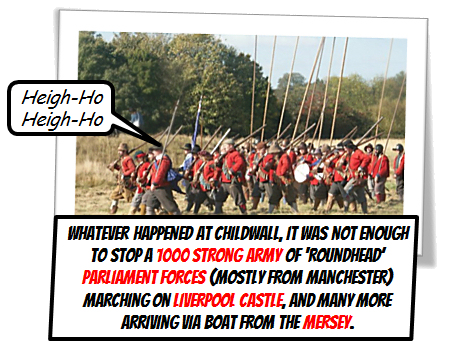 Whatever happened at childwall, it was not enough to stop a 1000 strong army of ‘roundhead’ parliament forces mostly from Manchester marching on liverpool castle, and many more arriving via boat from the Mersey. The parliament army killed 80 scouse royalists, took 300 prisoner AND GAINED control of Liverpool castle in April 1643. 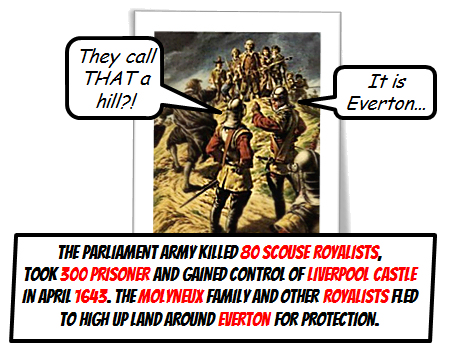 The molyneux family and other royalists fled to high up land around Everton for protection. 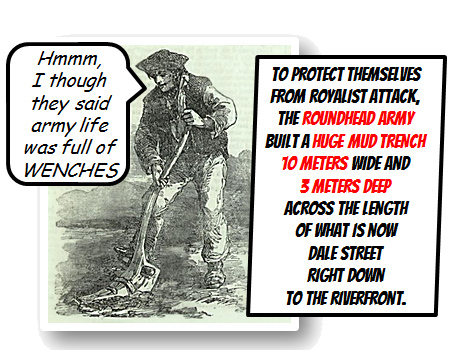 to protect themselves from royalist attack, The roundhead army built a huge mud TRENCH – 1o meters wide and 3 meters deep across the length of what is now dale street right down to the riverfront. 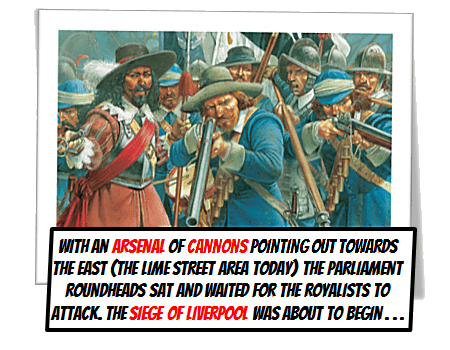 with an arsenal of cannons pointing out towards the east (the lime street area today) the parliament roundheads sat and waited for the royalists to attack. 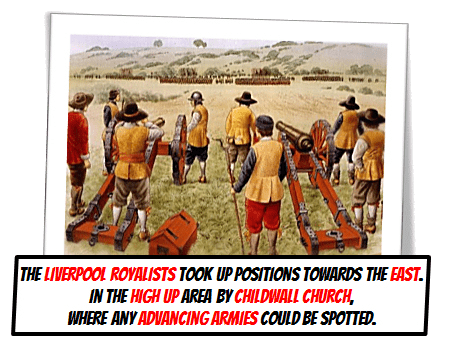 the siege of Liverpool was about to begin.